By now you may have heard about the unfortunate illness that Chicago Teachers Union President Karen Lewis is battling. Today the CTU released details on how you can send Karen your well wishes. Chicago Teachers Union (CTU) President Karen Lewis is recovering well from last week’s surgery and appreciates the outpouring of love and support from across the world. If you wish to send a card, letter, flowers or other get well greetings, please send them to the Chicago Teachers Union office. 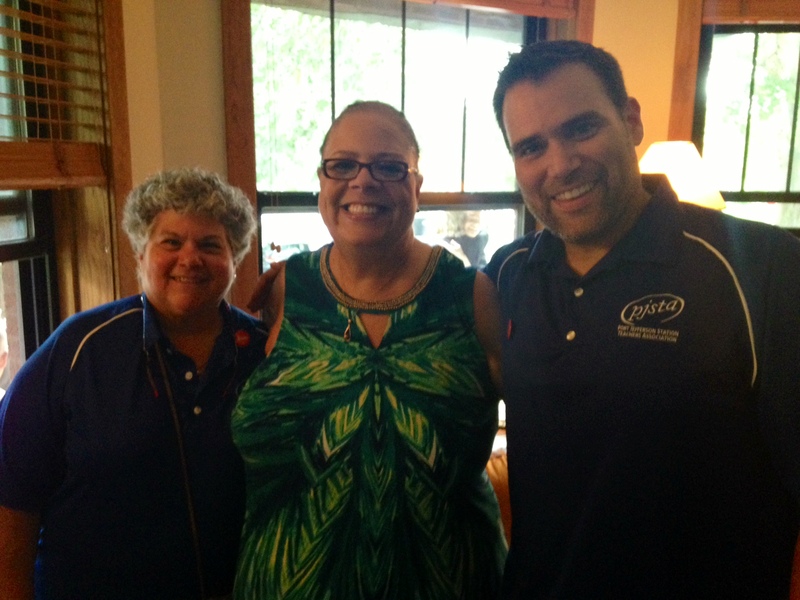 Beth Dimino, Karen Lewis, and Brian St. Pierre this summer in Chicago. This entry was posted in General and tagged CTU, Karen Lewis. Bookmark the permalink.